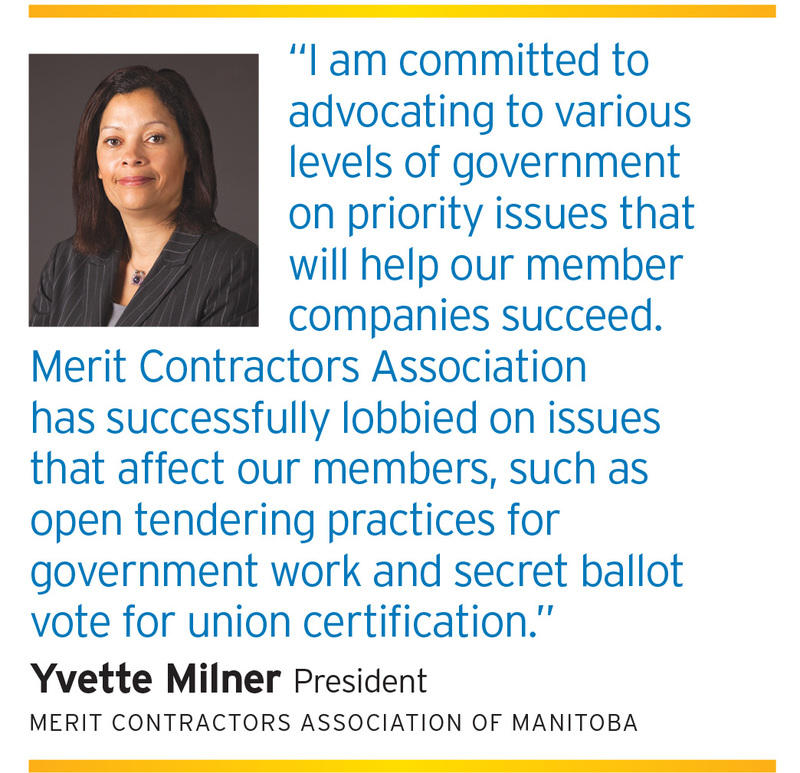 MERIT Contractors Association is the only organization of its kind in Manitoba, supporting and representing the unique and diverse interests of open shop contractors. Our organization consists of over 270 Manitoba open shop companies, ranging from very small to very large. We are growing every day! MERIT companies and their employees are committed to achieving the highest standards of safety, quality, efficiency and economy. MERIT Contractors Association of Manitoba was incorporated in 1994 and is the only open shop association in the province. An “Open Shop” describes a workplace where employment is not dependent on membership or non-membership in a union. Within the realms of construction contracting, open shop specifically refers to a situation in which owners, architects, developers, construction managers, general contractors and others do not consider the union (or lack thereof) of a contractor’s employees when awarding a contract. Besides Manitoba, Open Shop contractor associations are also found in British Columbia, Alberta, Saskatchewan, Ontario, New Brunswick, Nova Scotia and Newfoundland. Refer to Links to view their individual websites. Merit Canada was established in November 2008 as a united national voice for the eight provincial Open Shop construction associations. Merit Canada member organizations administer the largest multi-employer benefit plan in Canada’s construction industry. We provide a comprehensive, cost effective benefit plan, as well as education and training, and advocacy services to open shop contractors. We are stewards of promoting and representing the unique interests of open shop contracting. We offer cost effective, high quality benefits, services, and educational programs to the construction industry.